WordPress is a fantastic content management system. Whether you want to create new pages, post a blog, or reply to comments, WordPress makes it simple and easy. In fact, ease of use is part of WordPress’s charm. 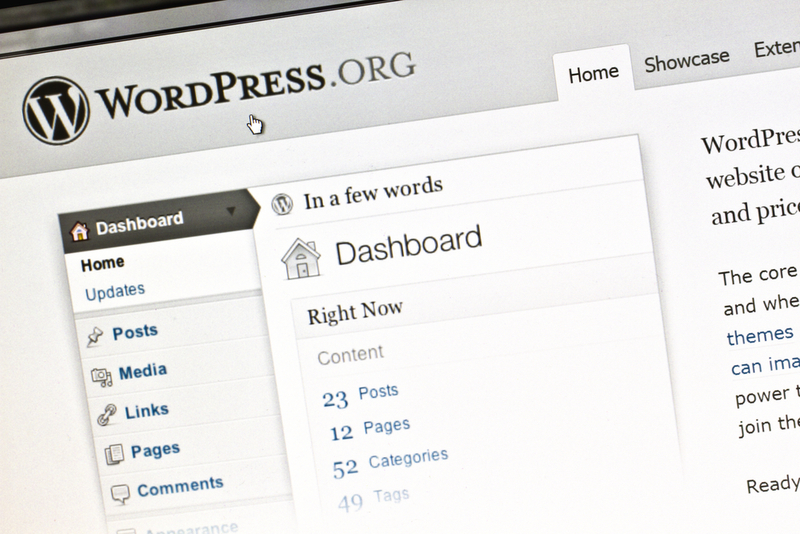 WordPress lets you extend the functionality of your site with snippets of code, called plugins. Plugins are quick and easy to install. Think of them like apps on your smartphone. You download a plugin to add new features to your website. They’re perfect for both beginners with zero coding knowledge and even professional programmers. WordPress created an immense marketplace of plugins for you to choose from. With literally thousands of plugins at your fingertips, the options are endless. Of course, remember to use plugins judiciously. Plugin code can be bulky, slowing your site. If you’re worried about speed, partner with a trusted web developer like Logical Media Group for a faster WordPress site. It’s not always easy to find the right plugin for your site. Because the plugin market is so vast, WordPress can’t check all plugins for quality. Unfortunately, some plugins contain poorly written code that can take down your website. Don’t download a subpar plugin. Choose a reputable and high-quality plugin. Here are our ten favorite WordPress plugins. Of course, you can add more plugins as needed for your site, but these will give you a great place to start, no matter your industry. Got a slow site? Many factors contribute to site load time. The quickest way to determine what’s slowing down your site is free tools like Google Page Speed Insights. The tool will likely tell you to minify your code. Unless you’re a programmer, you probably have no clue how to do that yourself. That’s where W3 Total Cache comes in. W3 is mainly a caching plugin that decreases your page load time. It also allows you to set up a CDN and minify your site’s code. Best of all, the plugin doesn’t need much tweaking out of the box. Oh, and it’s free! Download the W3 plugin here. Let’s say you made changes to your site URLs. Unless you want a slew of 404 errors, you’ll need to redirect those old URLs. This can be done easily by a programmer. If you have hundreds of links to switch over, we recommend going with a programmer first. But if you have just a handful of links to redirect, you can use the Redirection plugin. Redirection lets you add redirects to your 404 errors. It can minimize user confusion and boost your SEO with proper use. SEO is critical to your site’s success. However, many website owners don’t have the time or experience to edit their site’s code. The Yoast plugin makes it a breeze to optimize your site for search traffic. This plugin lets you add a sitemap, keywords, meta details, and more. Yoast is great if you’re a newbie to SEO. The plugin does a fantastic job of educating you on SEO best practices while ensuring your site is up to scratch for Google. You can download Yoast here. Have you ever lost your wallet? If so, you know it’s a total pain to recover your money. Websites are no different. They need regular backups in case of catastrophe. You definitely don’t want all of your hard work to suddenly disappear! BackupBuddy is a paid plugin, but it’s worth the investment. BackupBuddy stores up to 1 GB in the cloud and backs up your site on a regular schedule. All website owners need to monitor their site traffic. The easiest monitoring tool by far for beginners is Google Analytics. This tool is free to use and easily integrates with WordPress. In fact, our next plugin does just that. Monster Insights connects your WordPress site to Google Analytics. Monster Insights creates a Google Analytics dashboard on your WordPress site, so you can view your data directly from WordPress. There’s zero need to fiddle with your site’s code, as Monster Insights does all the heavy lifting for you. If you want to monitor your analytics regularly, this plugin is a must. You don’t want users to visit your site just once. You want them to come back for more. Whether you send blog updates, a newsletter, or opt-in offers, an email service is a must. Collect site visitor email addresses to establish a relationship that goes beyond their time on your site. If you want the biggest bang for your buck, start with an email service provider like MailChimp. The MailChimp plugin lets you connect your MailChimp account to WordPress, create sign-up forms, and more. Stop fishing for business; bring leads directly to your website with the MailChimp plugin. Download the plugin here. You’ll also need to create an account at MailChimp. An email newsletter is just one part of promoting your site. You want to connect with users where they are, and that’s on social media. Use the Sumo Share plugin to add social share buttons to your site. This allows visitors to share your content more easily on social media, bringing more visitors to your site. Sumo Share can display your share buttons in different locations on your site, too. Connect to 16 different social networks with this mobile-responsive plugin. Nobody likes spam. When you run a website, it seems like spammy comments are everywhere. Don’t spend hours sifting through spam comments on your site. Install the free Akismet plugin to keep spammers away. Akismet filters every comment on your site. It automatically flags suspicious comments for your review. A picture tells a thousand words, but it can also destroy your load time. Don’t gamble with slow load times and gigantic images. Download the Smush plugin to automatically minimize your site images. Smush lets you compress and resize all images on your site. The free version limits the number of images you can resize, so if you have a lot of images, it may be worth the pro version. WordPress comes with a built-in comment system, but it doesn’t work for every site. The Disqus plugin lets you create a streamlined, clean, and efficient comment system on your site. Disqus requires commenters to sign in, which they can do with their Facebook account or email. The amount of WordPress plugins on the market is overwhelming. We recommend starting with these top ten go-to plugins for your site. Add more plugins as needed to get your site up to scratch for better business. Don’t want to do a DIY approach? We don’t blame you! Chat with Logical Media Group now to overhaul your website.